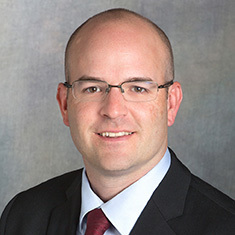 Brian D. Kelley is a real estate attorney who focuses on commercial real estate and structured finance with an emphasis on originating loans for the commercial mortgage-backed securities (CMBS) market. He has experience with post-securitization loan servicing and modification work. Brian also has experience representing 1031 sponsors participating in transactions involving tenants-in-common in which multiple investors aggregate 1031 exchange proceeds to acquire and finance investment property offered by the 1031 sponsors; residential real estate developers obtaining financing for and subdividing of real property; commercial real estate purchasers acquiring real property and obtaining financing in connection with the acquisition of such real property; and lenders in real estate banking and finance transactions including origination and defeasance of CMBS loans.